Like many of you, the most telephoto I typically shoot is 200mm. If you are David Bergman then you probably shoot at 600mm. But what if that still isn't enough? Well you need to buy the Canon 1200mm lens duh! And if this lens does not get you close enough to the action then you probably need to read the full post to view your last option. 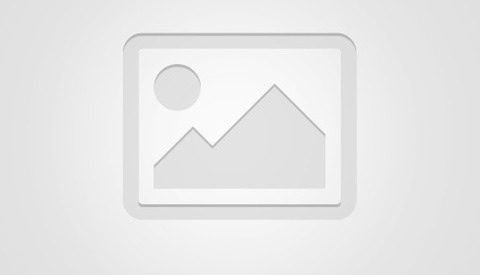 Are you a photographer and an iPad owner? If so, you are really going to love this. Are you a photographer who swore you would never buy an iPad because it's just an over-sized iPod Touch? Well you are about to change your mind. We have recently figured out that with nothing more than a jailbroken iPad and an Eye-Fi Pro X2 card, you can wirelessly tether the two without the need for a separate network. This "hack" is so useful that we have decided to give away a free iPad randomly to one of our twitter followers. Please read the full post to learn more. 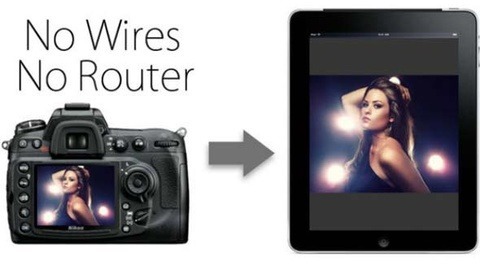 How To Directly Tether Your Camera To An iPad By Lee Morris from FStoppers on Vimeo. Kelly Kline is a commercial and editorial photographer based out of NYC and Atlanta who has a fantastic portfolio full of top professional atheletes. In this behind the scenes video she has teamed up with MMA fighter Matthew Polly for his new book Tapped Out. This shoot is definitely a commercial for the Profoto Pro-8a Air Packs but also shows what is possible when you push not only your gear but your creativity to the limits. Beauty Confessional is a fashion based blog out of the UK but that doesn't mean that their tough motion photos shouldn't be appreciated world wide! I love what photographer Piers Vernon Kell has done with these images and the editing reminds me of something you'd see in a Hitchcock or Woody Allen opener. If you are looking to add a twist to your own photography or simply advertise your own creativity in a new fashion take notes from this video! But I Thought Newscasters Were Super Human! If you have ever been in front of the camera you know how difficult it can be to remember your thoughts and speak them as naturally as you do in normal conversation. But what you may not know is most news personalities you see on television are actually cheating! Check out this behind the scenes video on how newscasters use autocues to present the news both clearly and accurately. I may have to invest in one of these for my own camera appearances! I wasn't planning on doing a meetup this month but now, due to popular demand, we are going to have two. Tonight (Friday 22nd) we will be meeting at 79 North 11th Street, Brooklyn, NY 11211. I know this is really last minute but I had 8 people today tell me they wanted it tonight. If you can't make it, don't freak; we also plan on doing another get together in Manhattan Friday night after the Expo. I'll give you more info on that early next week. Call me if you can't find us: 843.697.4282. Moving time lapse videos are becoming more and more popular these days. Check out the video below to see Patryk Kizny take the DriveCam Slider for a test. Autumn. A short timelapse film from Patryk Kizny on Vimeo. Some of you may not remember this but as a very young kid with HBO in the house, I remember always being amazed watching this intro. Now I think movies on HBO just start with the parental ratings and nothing more. So next time you are thinking of making a cool intro for your business in after effects, remember how much harder it actually could be! As always, click the full post to view the original trailer. Gopro's Make Me Want To Get Extreme! This music video created by Oren Lavie was a huge viral sensation back in Jan of 2009. I never knew there was a behind the scenes video showing the production of this clever project until fstopper reader Topshot posted this in the fstoppersforum. What's great about these videos is not so much the photography but the overall creativity with just one camera angle. Click the full post to watch the original video. This weekend I shot Travis Harris' wedding in Vermont and now I am back in my second home, NYC. In case you didn't know, Oct 28th-30th is the PhotoPlus Expo and I plan to be there all three days. If you are looking for a group to go with, we would love to have you join ours. Until then, I thought it would be fun to meet some new people around the city. I am completely free on October 20,21,22,25, 26, and 27 and I would like to join YOU for lunch. If you are interested, simply send me a note on Facebook with the day, time, and location where you would like to meet and I will show up (Manhattan and Brooklyn only). I don't care what you do for a living, or what you want to chat about, I'm really up for anything. Also, if we get a big enough group interested I will be happy to throw another FS get-together one night. Let me know if you would be interested in that in the comments below. Update: So far I have been booked for lunch every day except for Tuesday the 26th and Wednesday the 27th. If you are free for lunch either of those days let's meet up! Update 2 All of my free days have been booked up and I am now double booking days. If you can do a really late lunch let me know. Otherwise let's meet up at the expo. If you like building stuff then you may want to view the video below. If you are like me, and you would rather just buy something that works perfectly out of the box, then I would highly suggest buying the IndiSlider. Its only $99 and it works great! DIY Inexpensive Camera Slider from J.G. Pasterjak on Vimeo. To help raise money for the AIDs foundation, Diana Deaver did a photoshoot in a nearby church that was being renovated. Diana set up the shoot, did the models hair, made the models dress, and shot all the pictures with nothing more than some natural light and a little on camera fill. If that isn't enough to inspire you, I don't know what is. Stefan Segers is a commercial photographer from the Netherlands. Although all of his website is in Dutch, he was nice enough to produce a behind the scenes video in English just for Fstoppers. Stefan explains from start to finish how he created the artistic look for the lastest Pajar campaign. I really love this straightforward behind the scenes video because Stefan's approach is pretty simple but very professional in it's final execution. Kim Krejca is a professional food and prop stylist. Combining her background in art direction and culinary arts, Kim now works with photographers to create the perfect images you see on menus and in maganzines. Most of what you see in terms of food photography is cleverly engineered and often times flat out fake. Kim and food photographer Rick Gayle take you behind the camera to discover some of the tools they use during their stylings. If you enjoy this video, be sure to head over to Adorama's learning center to watch more videos. Win a Canon T2i DSLR with Video! If you really want to feel like your photography is complete garbage, which I suggest you do every now and then, head over to LA Fashion Photographer David Nguyen's Website. Lucky for us we have a nice little BTS video from David during his recent fall fashion shoot for ViViD Magazine. Lots of natural light and scrimming for you strobe shooters :) Who knows, maybe we can see more of David working Behind the Scenes down the road! ViViD Magazine Fall 2010 Photoshoot from Matt Rodgers on Vimeo. Let's get one thing straight; I hate Transformers. I actually thought Transformers 2 was so bad that I walked out on the movie and since my friend actually wanted to continue watching it (and he had the car) I walked home 3 miles in the middle of the night... That's a true story. That being said, I can always appreciate a quality production and Michael Bay never fails with that. Check out this home made BTSV of Transformers 3 in the making. Fast forward to 2:15 for the good stuff. 3 Years At The Same Place (english version) from Ramon on Vimeo. Benjamin Von Wong is a part time photographer but his concepts and images are definitely top notch. He was smart enough to film a behind the scenes video for his photoshoot with designer Andy Nguyen and the results are very interesting. You can read more about the ins and outs of this shoot from the model's perspective here and some of the final photos on Von Wong's Flickr page. If you enjoy these types of videos, Benjamin and others are posting them over at the Fstoppers Forum. I'm always amazed by what our readers come up with during their own shoots! Here is a great video created by Yuri Arcurs dealing with stock/commercial photography. He makes a great point when he says that a model may be very beautiful but if they don't look nice and approachable then they won't sell. Check out his quick video to learn a few other fantastic tips about directing your model as well.